Politics are local; real estate obviously is local, and the rate of economic recovery varies by locale. Talk to builders in Orange County, Dallas-Fort Worth, and Florida, and they’ll tell you their businesses are furiously busy. Great design starts at the high end of the market, and that is the rarified air in which custom and luxury home builders work. If a no-step shower with 12 body spray heads, slim sink for the kitchen, or wine bar is on their clients’ wish lists, these builders are going to embrace it. Remember Body Smart chocolate bars and fruit chews? I bet you don’t. At one point during my three days of walking the Las Vegas Convention Center and taking in the new products at the combined International Builders’ Show/Kitchen & Bath Industry Show, I was standing in the shuttle bus line with a few designers. A trend I am seeing throughout the country is that builders are stepping up their game relating to elevations. Why? In past years the consumer has been influenced primarily by what they see in their neighborhoods, while traveling, or on television. In business so often what one wants is a silver bullet, that one solution that will solve everything, improve the whole business in one swoop. Mel Tucker is the new Defensive Coordinator for the Chicago Bears. In theory, that’s a good gig. During Operation Desert Storm in the early 90s, France’s decision to not support the U.S. intervention revived an old joke from the World War II era. Q: How many French troops does it take to defend Paris? Elon Musk, the founder of PayPal, the SpaceX project, and the promising new Tesla Motor Company, is the kind of entrepreneur you want to have in your neighborhood. He is the Bill Gates of his generation, creating good, high-paying jobs that will likely last for years. Not so long ago basements were merely utility space, but those days are gone. 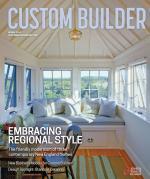 Two projects presented in the September edition of Custom Builder include basements that figure prominently in their respective plans. Hurricanes, floods, tornadoes, and countless other destructive weather events cost billions of dollars in damage in North America every year. Specifically, storm damage accounted for more than $110 billion in 2012 alone. A good predictor tool for rework and cost impact on a construction project is the Field Rework Index (FRI). This 2,800-square-foot plan utilizes Lean design to combat narrow-lot woes. In the fall of 1998, I attended my first Benchmark Conference as a new senior editor on Professional Builder magazine. What struck me about the gathering was the camaraderie among industry competitors. As we continue to distance ourselves from an economic downturn that had a deep impact on the remodeling industry, one key variable is still evolving at a brisk pace and that is the introduction of new products to the remodeling industry.